We’re always searching for the best airline credit cards for free flights. There are so many to choose from, so we made this list to help you narrow down the choices. Some of the best airline cards are co-branded with the specific airline, while others great cards use points from banks to pay for tickets. There are even some awesome hotel cards that transfer hotel points to airlines at an attractive rate. The Chase Sapphire Reserve has been blowing up the Internet with its amazing offer. When you apply, you will receive 100,000 50,000 Chase Ultimate Rewards points, which can be worth $1,500 $750 when you use them to purchase airfare through Chase’s Ultimate Rewards portal. On top of that, you also receive $300 in travel credits per calendar year to purchase airfare or pay for baggage fees, upgrades, etc. These are the best airline credit cards for free flights on the airlines that people fly the most. Remember, when you redeem for travel, you can also use these points to fly on their partner airlines. If you’re having trouble booking award travel using your airline miles, please check out our recommended award booking service. I have used them for more complicated itineraries… and not only did they book us a great flight quickly, they actually saved us money on fuel surcharges and taxes, even after paying their fees! The Alaska Airlines Visa Signature card has been around for a long time. There is both the personal and business offers available to effectively double the value from this offer. This card is great for the miles, but the ongoing spend doesn’t offer a lot of value at just 1x points per $1 spent on anything other than Alaska Airlines purchases. 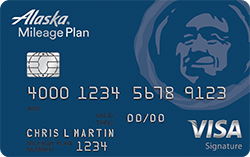 One of the best features of the Alaska card is the Companion Pass. I used it to take my son, Timmy, down to Costa Rica to stay at the Andaz Papagayo Peninsula resort (which was amazing!). Here’s a quick lesson on how to use the Alaska Airlines Companion Pass that you receive each year from the card. American Airlines has an extensive relationship with Citibank where they offer many personal and business credit card options. There are currently 4 flavors of this card – AAdvantage Platinum Select, Business AAdvantage Select, AAdvantage Executive (shown to the left), and AAdvantage Gold World Elite. You used to be able to receive the bonus on each of these cards in succession, but Citibank changed their rules and you can only receive the bonus once per family of cards (ie: American) every 24 months from the date in which the card was closed. Some of these cards have valuable benefits that may make them earn an ongoing place in your wallet – such as Priority Boarding, free checked bags, reduced mileage awards, and 10% refund on miles redeemed. The Executive version also provides you with a free Admirals Club membership (authorized users also receive membership) so you can access their lounge even when you’re flying a different airline! Delta also offers many versions of cards for both personal and business customers through American Express. Delta offers 4 versions in total – Gold, Platinum, and Reserve for personal and Gold for business. You can still get the bonus from each Amex card, but be sure that the bonus that you receive is one of the higher ones because American Express instituted a “once per lifetime” rule on most credit card bonuses. With the Platinum and Reserve versions of the Delta Airlines cards, you will earn 10,000 MQMs to help you qualify for elite status with Delta. Additionally, there is an opportunity for “annual mileage boosts” with these cards when you meet certain spend hurdles in a calendar year. The Platinum card offers discounted Delta Sky Club access, while access is complimentary with the Reserve card. Barclaycard took over the JetBlue offering from American Express with great fanfare. 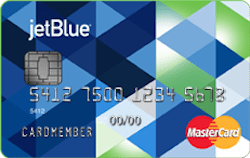 There are two versions of the JetBlue card, one with an annual fee and the other without. The no-fee version has a smaller sign-up bonus and earns 3x with JetBlue and 2x at grocery and dining. The JetBlue Plus card has a larger signing bonus and earns 6x with JetBlue and 2x at grocery and dining. Additionally, the Plus card provides for free first checked bag, 10% rebate on award redemptions, and TrueBlue Mosaic status after meeting a spending hurdle each calendar year. I have had this card for about 15 years now, and I love how I can earn the Companion Pass without paying for a flight with this card. Chase offers 2 versions of the Southwest Visa for both personal and business customers. Each card has an annual fee, with the lower-fee Plus version $30 cheaper than the Premier version. The main difference between the cards other than the annual fee of $69 vs $99 is that the Plus version receives 3,000 Southwest Rapid Rewards points upon renewal and the Premier version earns 6,000 each year. Both cards allow you to earn points towards the Companion Pass, but only the Premier allows you to earn up to 15,000 Tier Qualifying Points towards A-List and A-List Plus status when you meet spend limits. You will receive 1,500 TQPs for every $10,000 you spend on the Premier card. 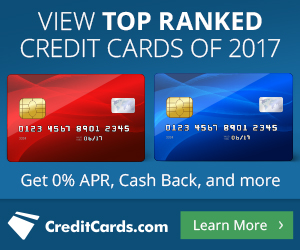 Chase offers 3 versions of the United Airlines credit card – Explorer, Club, and Presidential Plus – for both personal and business customers, and each card has a unique focus. The Explorer card offers a sign-up bonus and the opportunity to earn bonus miles when meeting a certain spend threshold, plus you’ll receive 2 United Club passes each year. The Club card includes membership access to the United Club lounge and earns 1.5 miles per $1 spent on anything. The Presidential Plus card includes United Club membership and you can earn 1,000 Flexible Premier Qualifying Miles for each $5,000 you spend on the card. The Presidential Plus card also eliminates the close-in booking fee on award tickets. All 3 versions of the card offer complimentary automatic upgrades to your award tickets (based on availability) ahead of lower level United Premier members. Each card also offers free checked bags for the cardholder. In addition to the airline co-branded cards described above, the bank points and hotel transfer point options are also very valuable options for your wallet. American Express Membership Rewards are flexible points that can be used to pay for flights directly with the airlines or you can transfer them Amex’s airline partners to redeem for award flights. Membership Rewards can also be redeemed for cash, statement credits, or to make purchases at stores like Amazon or McDonalds. But the real value is in transferring them to their airline partners, such as Air France, British Airways, Delta, Emirates, Etihad, JetBlue, and Virgin America or Atlantic. The Chase Sapphire Preferred and Reserve cards are the most powerful personal Ultimate Rewards cards. With these cards, you can redeem your Ultimate Rewards points up to $0.015 per point value for travel or you can transfer the points to travel partners such as United, British Airways, Southwest, Korean Airlines, and Singapore Air for potentially even higher value. Citibank’s ThankYou points can be earned from several personal and business cards. 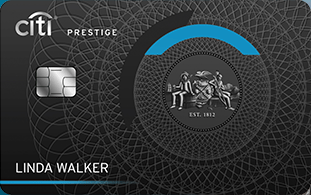 There are no-fee personal and business versions available, but the Prestige card gives 3x on travel (airlines, hotel, online travel agency) spend and 2x on dining & entertainment. You will receive a $250 annual travel credit for airfare, baggage fees, lounge access, and some in-flight purchases which helps offset the annual fee. You also receive $100 in Global Entry reimbursement, airport lounge club access through Priority Pass, and your 4th night free when booking with the Citi concierge service! This card gives HUGE value that totally offsets the annual fee. ThankYou points can be redeemed for cash, statement credits, gift cards or shopping at $0.01 or less in value per point. When you redeem ThankYou points for travel, they are worth up to $0.0133 per point. For even better value, you can transfer ThankYou points to airlines such as Etihad, JetBlue, Qantas, Singapore Airlines, and Virgin America. Marriott points are normally used for hotel stays. However, there are some great uses for air and hotel packages that many people don’t know about. And with these packages, you can actually receive more using less Marriott Rewards points! For example, you can use 270,000 Marriott Rewards points to receive 120,000 Southwest Rapid Rewards points AND a 1-week stay at any Marriott Category 1-5 property. Compare that to the normal transfer rate from Marriott to Southwest where it would cost you 280,000 Marriott Rewards points to receive 100,000 Southwest Rapid Rewards points. The Flight + Hotel package costs 10,000 points less and you receive an extra 20,000 SW points AND a 1-week Marriott stay. There are a lot of other airlines that are available to transfer to as well, including domestic airlines like United Airlines, JetBlue, American Airlines, and Alaska Airlines and international airlines like Emirates, Etihad, and Singapore Airlines. With the recent merger of loyalty programs between Marriott and SPG, you can transfer SPG points at a 3:1 ratio to boost your Marriott balance to redeem for this package. For example, if you have 90,000 SPG points, that would be 270,000 Marriott points, which is enough to redeem for the 120,000 Southwest points and 1-week Marriott stay. 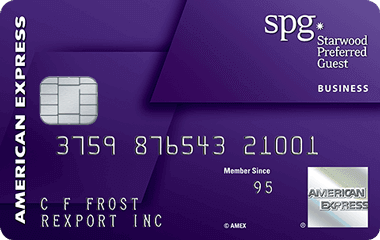 Although the SPG card from American Express is based on earning points that can be used at Starwood properties (like W, Westin, Sheraton), the points have tremendous value when it comes to airlines. SPG has one of the most extensive list of airline transfer partners of any hotel program. But what makes the Amex SPG card so valuable is that you receive a 25% bonus on points transferred for every 20k SPG points that you convert into airline miles. For example, you will receive 25k American Airlines AAdvantage miles when you transfer 20k Starwood points. This card may not be around much longer now that Marriott has bought SPG and they are in the process of merging their programs. The programs are separate at this point, but they now offer reciprocal status matching and transfer of points to/from SPG and Marriott. 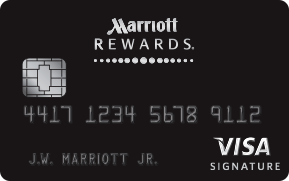 Marriott’s card is from Chase, so you can imagine the SPG card will eventually transfer over there, unless it is eliminated altogether. FlexPerks from US Bank are one of the lesser known points programs in the mileage community, but I’ve found great value with them. The points that you earn are worth up to $0.02 each and you can earn 2x on grocery spend, equating up to 4% in value when you redeem for flights! I applied for the Visa version of this card during the Summer Olympics and received additional sign-up bonus points based on how many medals the US Olympics team won. When you spend $24,000 on your card in a calendar year, you will also earn bonus points which helps to offset the annual fee! And there is a little extra benefit when you fly on redemption flights… you get a credit of up to $25 for baggage fees, upgrades, or in-flight food or drink.